Squirrels May Carry the Plague! When you hear the word “plague”, it usually conjures up thoughts of medieval times during the Middle Ages. In reality, plague is a health threat that still exists today. Even more surprising is the fact that it can be transmitted by a common but unlikely source. 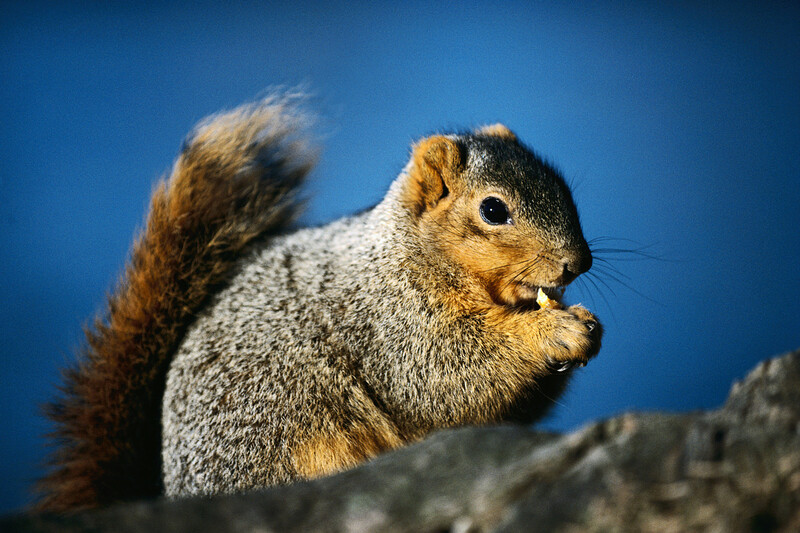 Squirrels, along with chipmunks and other rodents, have been found to be carriers of the bacteria that causes plague. In 2012, public health officials in California’s El Dorado County were faced with an outbreak of hantavirus, a disease that produces flu-like symptoms which can sometimes be fatal. Several cases were traced back to Yosemite National Park, with five connected to the “signature tent cabins” of the Curry Village campground, one of the park’s most popular sites. Never feed squirrels, chipmunks or other wild rodents. Stay away from rodents that are injured, ill or dead. Campers should avoid areas with signs of animal burrows. Stay alert for warning signs and follow their instructions. Keep pets under your control at all times. If squirrels take up residence in your Monmouth County NJ home or business, don’t risk your health by dealing with it yourself. Our professional technicians are trained in safe, humane methods of animal removal. 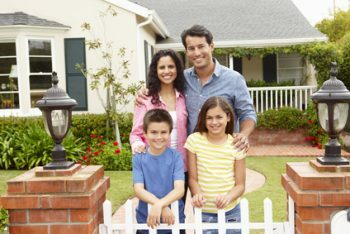 Visit our website to schedule an inspection. Can You Blast Sound and Get Rid of Rodents and Squirrels? Are you bugged by rats, mice or squirrels? Rodents are pests, and it can be difficult to keep them away from your home or garden. Poisons and traps work well, but they can be dangerous if you have pets or small children. There may be an effective way to keep squirrels and other rodents at bay that relies not on poisons and traps, but with sound repellents. Sound repellents reportedly work by emitting high-frequency that frighten and repel squirrels, mice, rats and gophers. These sounds are inaudible to humans, so they won’t disturb you or your family. Some of these sound repellents are battery-operated, while others need to be plugged into a wall outlet. Most use motion sensors to determine if a rodent is nearby. Despite claims made by manufacturers, the jury is still out on whether sound repellents actually work. Many rodents are frightened by sudden and unexplained noises, but they also become accustomed to repeated sounds. A sound repellent may work for a while, but animals will eventually get used to it. There is also no evidence that says sound repels moles and gophers. Sound repellent is at best a temporary solution to a rodent problem. It may work at first, but only because rodents are easily scared by loud, sudden or unfamiliar noises. Instead of installing sound repellents, consider other measures to keep rodents away if you don’t want to resort to poisons and traps. Remove unnecessary vegetation that provides food and shelter, set up barriers in your vents and chimneys and keep a tight lid on your garbage cans. These will all make your home look unsuitable to rodents. Before you start blasting sound in your attic or home, call the friendly staff at Allison Pest Control to rid your home and attic of pesky squirrels and rodents. Don’t let squirrels take over your attic! 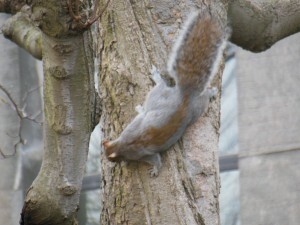 As part of the rodent family, squirrels have to constantly gnaw to keep their teeth down. They may chew – and cause extensive damage to – many surfaces of your home. Squirrels may even going so far as to chew a hole into your roof, eaves, or walls to enter the attic, inflicting considerable damage once inside. Fortunately, prevention is simple. Seal all openings, paying special attention to vents which often have flimsy or corroded screens that are easily gnawed through. Use a ladder to inspect any areas you cannot see from the ground. Check where roof lines meet and where the eaves touch the roof, sealing off possible access points. Install a snug-fitting steel chimney cap to prevent chimney access. When addressing known access points or visibly chewed areas, be certain to use steel flashing or steel screen to curtail meddlesome munching. Has your attic taken on these troublesome tenants? 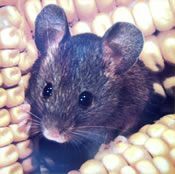 Contact Allison Pest Control for remarkable rodent removal services today! Don’t wait to take action to remove squirrels as once they choose a place to nest, they will return year after year and even teach their squirrel babies how to get into your attic to overwinter. When you choose us for squirrel removal, we humanely capture your squirrels, clean, and sanitize the damaged areas. While squirrels might be majestic to watch, ground squirrels can become a problem quickly. Today, we’d like to offer you five interesting facts about ground squirrels. Fact #1: They love to make your home their home – While you’re used to seeing them in the wild, it warm for long. That’s going to force them inside, and your house is one of their favorite places to nest – not to mention cause damage. Fact #2: Ground squirrels build tunnels – True to their name, they’re not always looking to your home as a place to hang out. They like to burrow into the ground, and they’ll create tunnels in yards until they find the right spot to sleep or even hibernate. Fact #3: Their favorite foods are some of the best parts of your garden – Remember that garden you were feeling so proud of? One visit from a ground squirrel can negate all of your hard work. They love your fruits and veggies just as much as you do! Fact #4: They make excellent team members when it comes to danger – When there’s danger afoot, ground squirrels are quick to notify each other with a whistle. Fact #5: Ground squirrels feed on insects too – It’s not only your plants they’re after; they also feed on insects and caterpillars. Even the ones that are good for your garden and yard. If ground squirrels have become a pest, it’s important to call a squirrel control specialist. The sooner you act, the more potential damage you can avoid. For more information, or to schedule a visit from one of our squirrel control specialists here at Allison Pest Control, please contact us today.